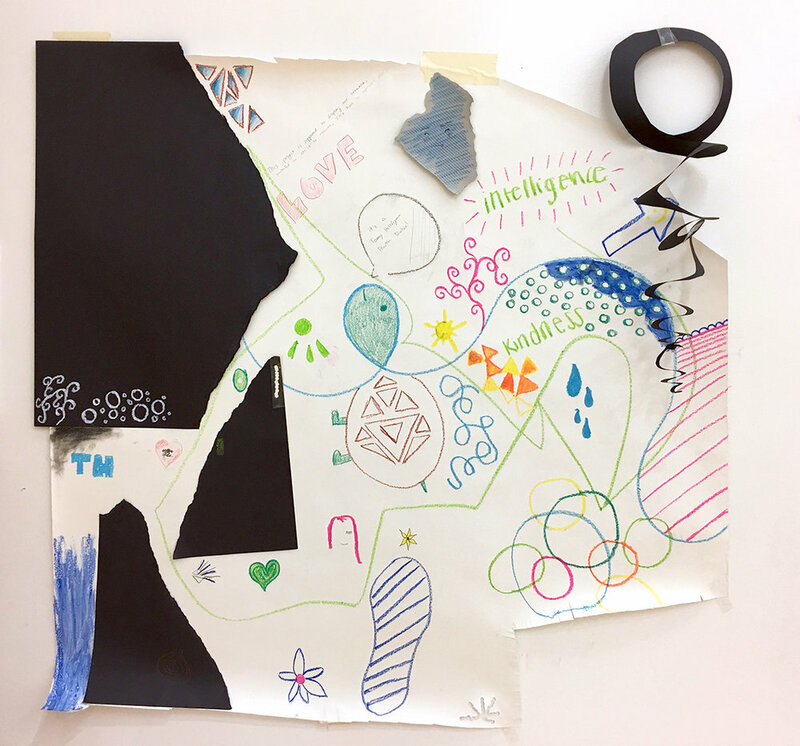 I originally developed this interactive art piece for a large middle school event at the YMCA. 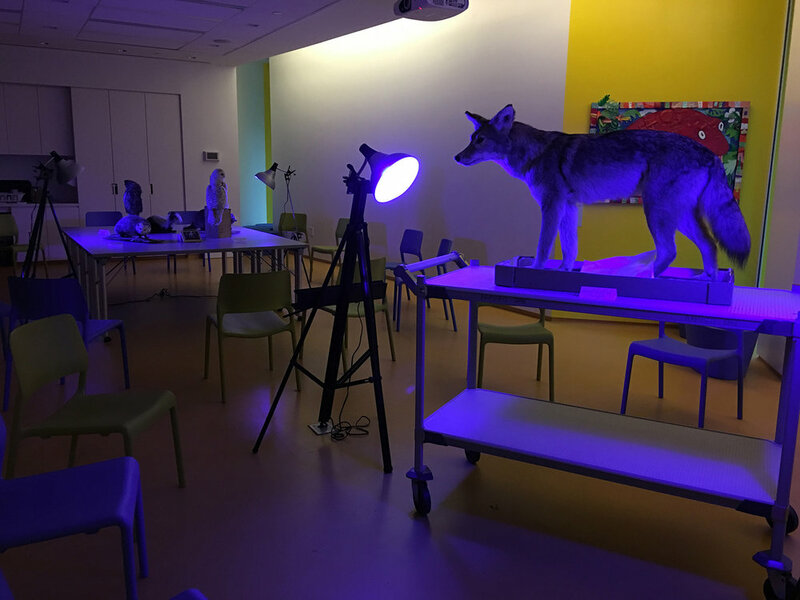 Later, I repurposed it as a creative exercise that I paired with my students' visits to PEM's exhibition Playtime. 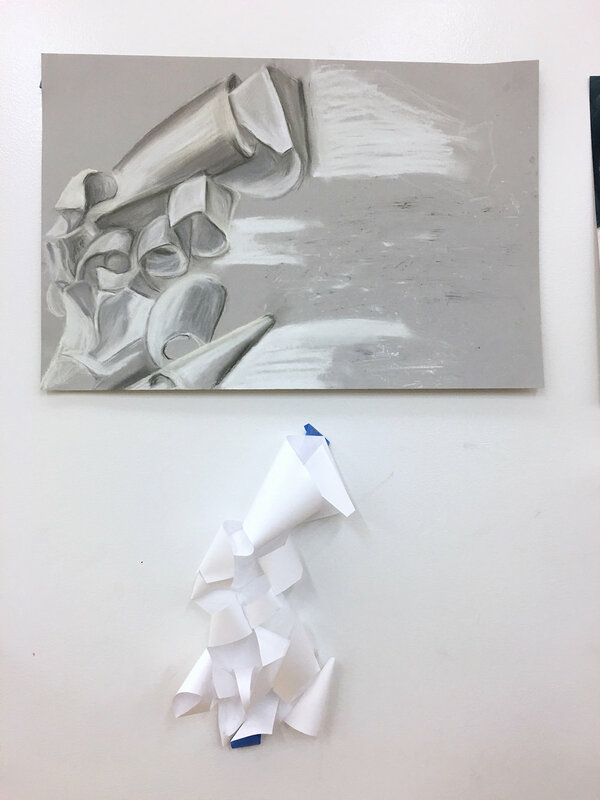 Participants had a list of open-ended prompts like "Draw a line that touches two edges", "Trace something that's in the room" and "Cut it into two pieces and rearrange it." When Beverly High School's A.P. 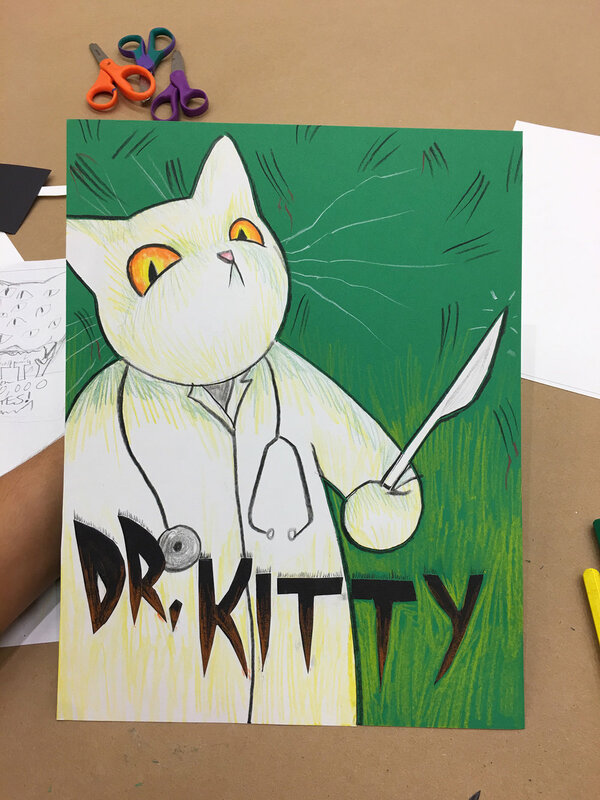 Art class did this, one student commented "For some reason this doesn't stress me out" and another said, "I like how freeing they are." During the run of Georgia O'Keeffe: Art, Image, Style, ArtLink participants saw a range of Georgia's work including some of her grayscale abstractions which served as the foundation for this project. We talked about her interest in shapes and shadows, and her subtle use of color. Once in the studio, students were tasked to turn a single sheet of copy paper into a highly interesting form. 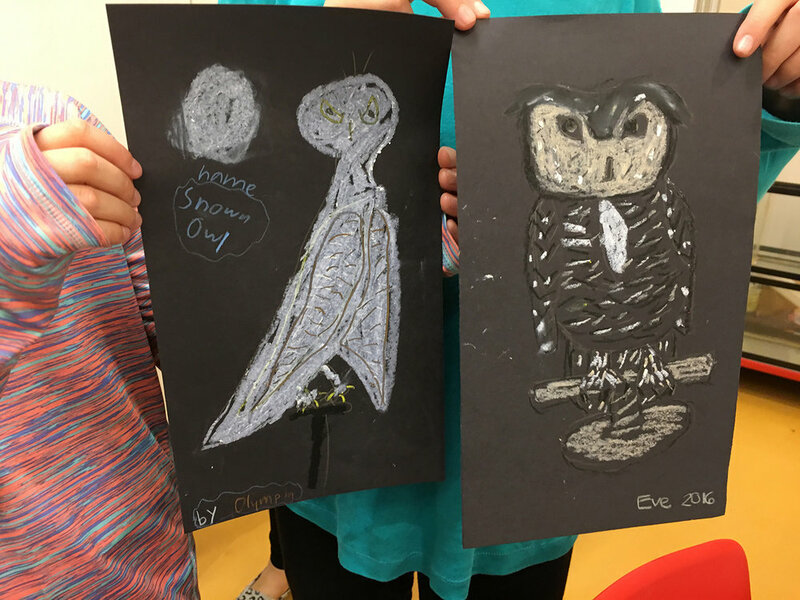 They then used their paper sculptures as models for drawings using a beautiful palette of warm and cool gray and black pastels, and tinted white pastels. Drawing inspiration from the expressive typography, titles, and use of color in the posters in It's Alive! 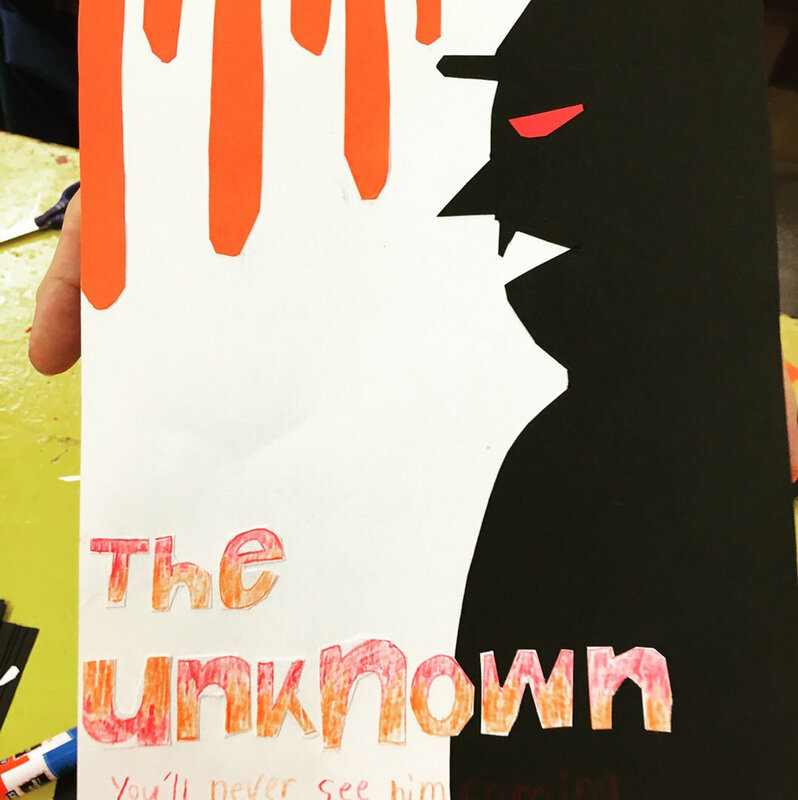 Classic Horror and Sci-Fi Art from the Kirk Hammett Collection, students created posters for their own horror movies. 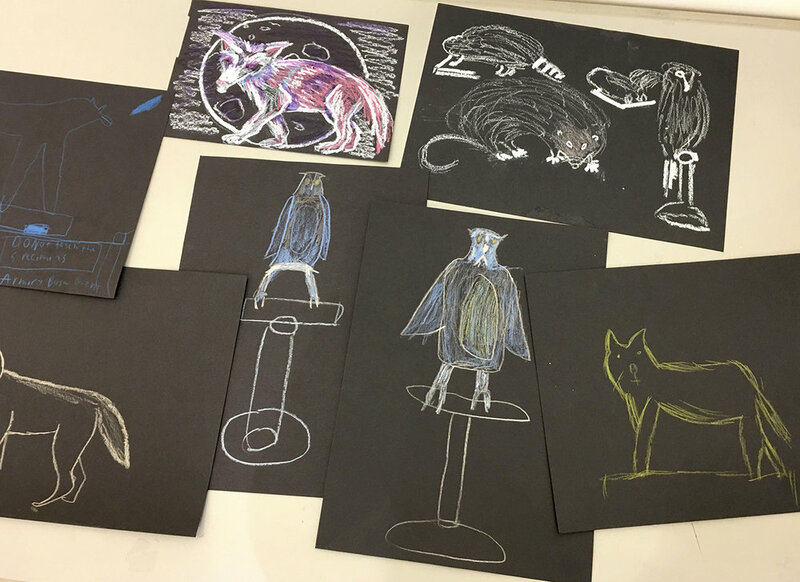 After seeing XYZT: A Journey in Four Dimensions, program participants created drawings that captured the movement of the interactive artworks in the exhibition, using the same minimalist palette as the artists. 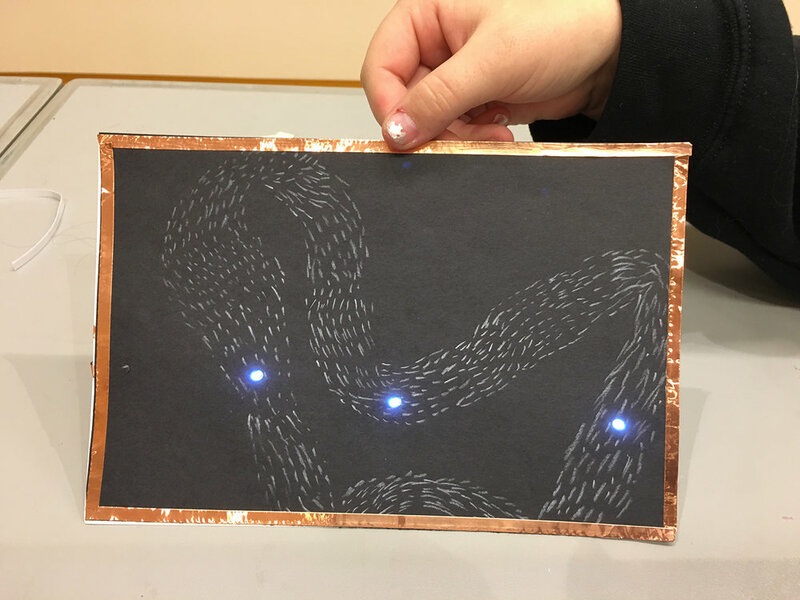 After the drawings were completed, we created a simple circuit to integrate three LED light stickers into the designs. This activity begins with a discussion of a stoneware piece by Mishima Kimiyo. It looks like a real Asahi box filled with newspaper, but on closer inspection you can see that it's not. We discuss the piece and the artist's concern about the amount of information we encounter each day without stopping to question whether it's real. We discuss examples of false and misleading information that we've personally encountered, how we respond in those situations, and how we can ensure that we are not contributing to the spread of misinformation. Then, students are asked to write an article that we'd like to see come true one day. I compiled the written pieces and formatted them to look like a newspaper, and build a fake newsstand to distribute them out of. The stand was on display at the 2017 ArtLink exhibition and museum visitors were invited to take one. Even in a short 15-minute period, the articles the students came up with were deeply personal and socially profound. When visiting Lunar Attraction, we began by focusing on artworks that showed the geography of the moon and we discussed the geographical features. In the studio, with a list of lunar features to guide them and a selection of materials, they constructed their own lunar landscapes while incorporating as many lunar features as they could. 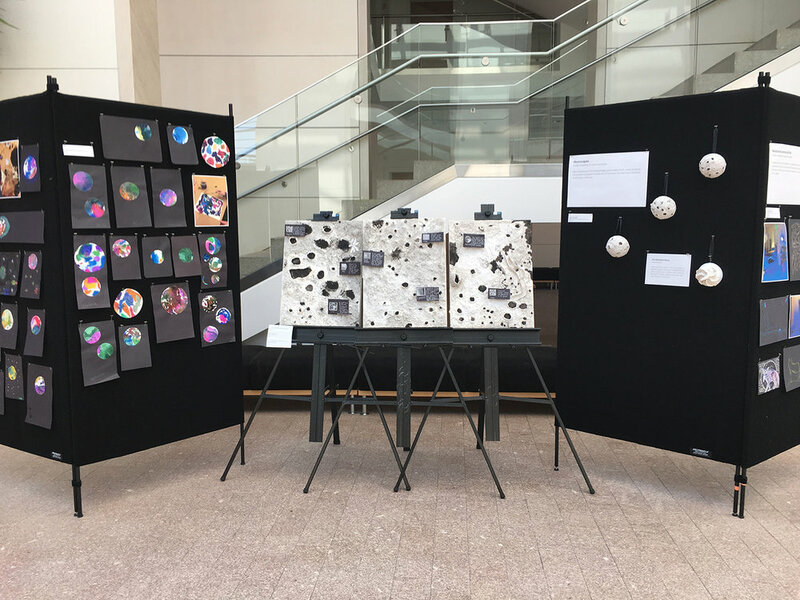 This project was done on styrofoam semi-spheres for individual work, and some groups collaborated on large panels that are now displayed in the museum's Create Space. Students hand-wrote labels to indicate the features that they included. For a completely different project relating to Lunar Attraction, I gathered some of our specimens of nocturnal animal taxidermies. 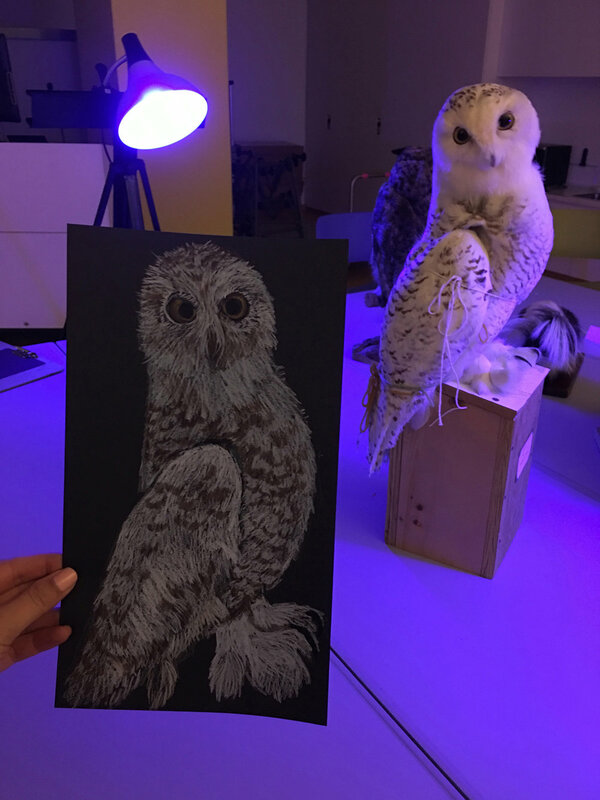 I brought in blue lighting to create a night-time feel for an immersive observational drawing experience. Inside the show WOW! 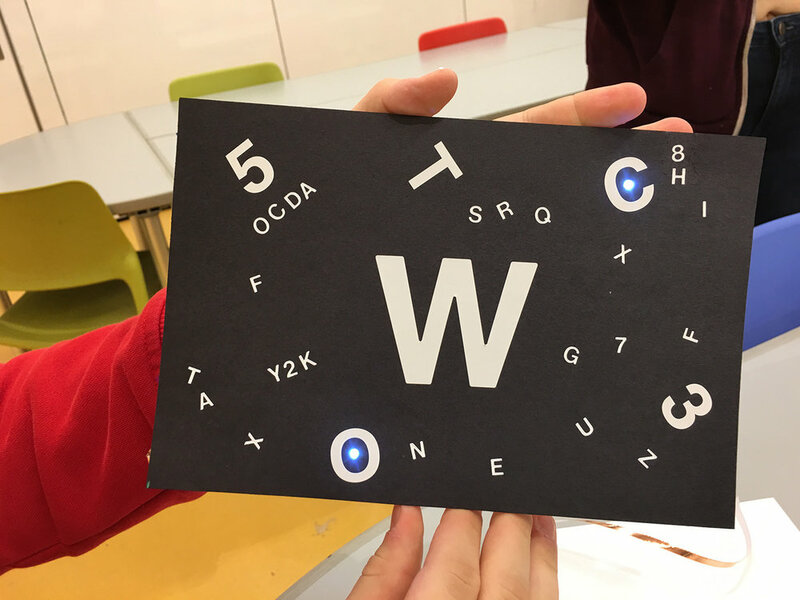 World of WearableArt, students were given cards with images on them. 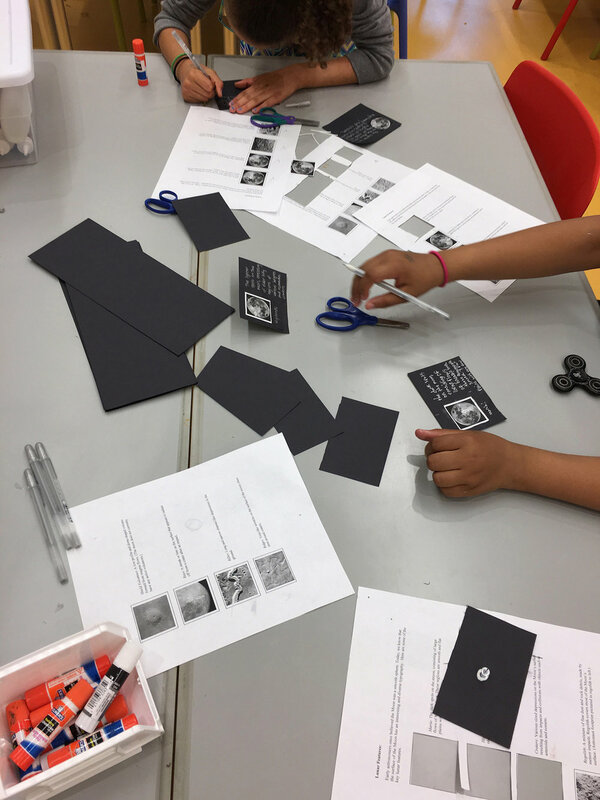 Each card represented the inspiration for one of the costumes in the exhibition; their challenge was to figure out which costume took inspiration from the image on their card. After finding the corresponding costume, they were asked three things. They then gave a reverse-tour of the exhibition by sharing their responses to the questions. 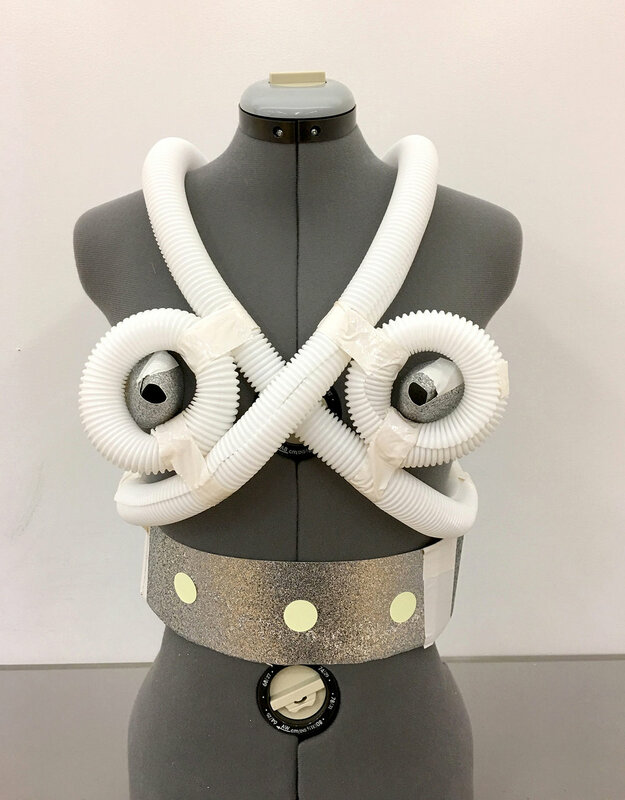 Afterwards in the studio, depending on the age group and the length of their visit, students were invited to design their own wearable art using a croquis, a paper doll, or a selection of materials for 3D construction. Part of the authentic arts learning experience is for young people to have opportunities to showcase their work, so I work to make and find every opportunity possible. 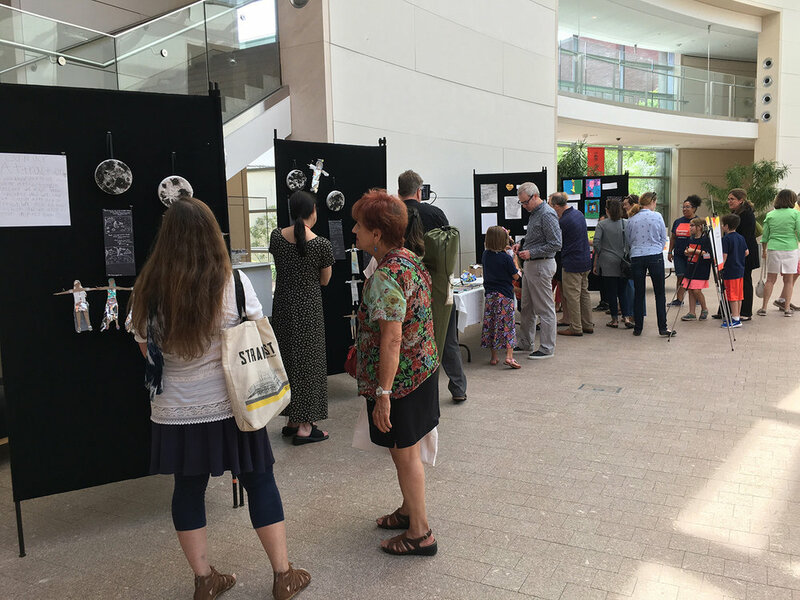 Above you can see a display of work by students from Phoenix School, whose visit to Shoes: Pleasure and Pain kicked off a three-month investigation into shoes. We installed work they completed while at the museum as well as their school projects, in this empty storefront that was available during our renovation. I've hosted the first ever family night and exhibition for ArtLink in 2017, and purchased a bulletin board for an ongoing rotation of artwork. 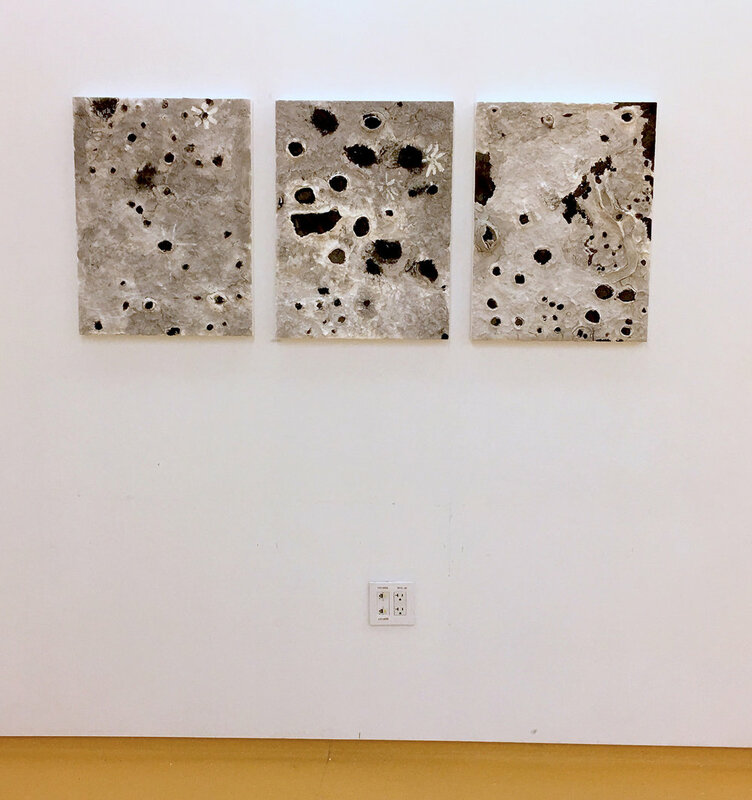 The three lunar landscape panels are also on display in PEM's Create Space.